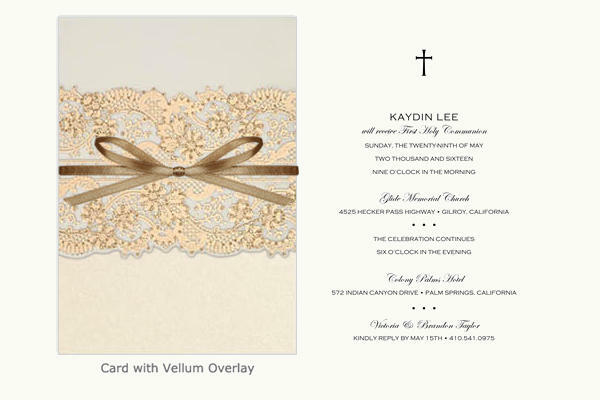 Invitation cards contain the most important details an invitee needs to know. Although the verbal approach is okay, it is unavoidable that people don’t pay close attention to the information detail. So, to avoid misinformation and misunderstanding, the sender is obliged to formally note the invitee preferably using an invitation card. 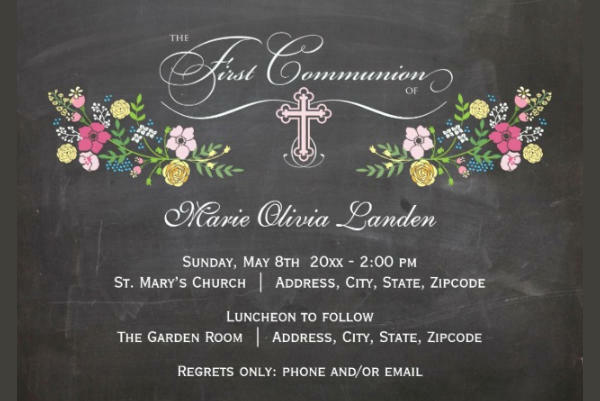 If you happen to be looking for a printable template for a specific event like a communion, then stay on this page and explore the many designs we’ve compiled for you to choose and use. You won’t feel any hassle upon downloading these Invitation Designs because it is available in PSD and AI Illustrator file formats for easy saving, editing(personalizing) and of course, printing. 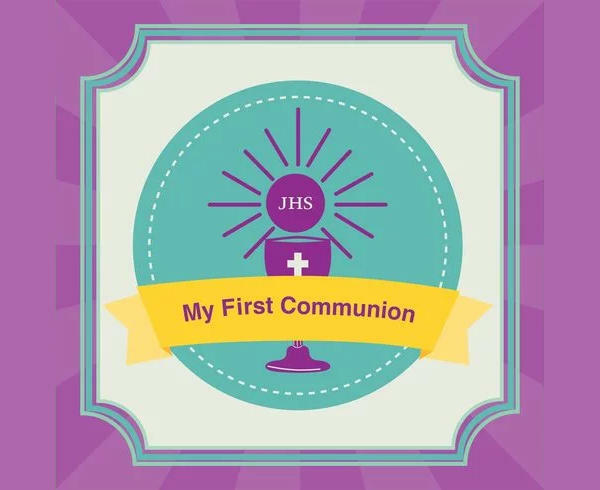 The first holy communion is one of the most important events of a child’s life. 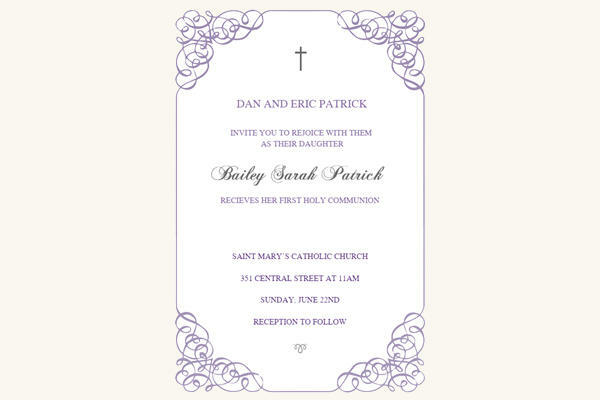 Make them remember this moment with everybody’s supporting presence with the classy and subtle “First Holy Communion Invitation”. 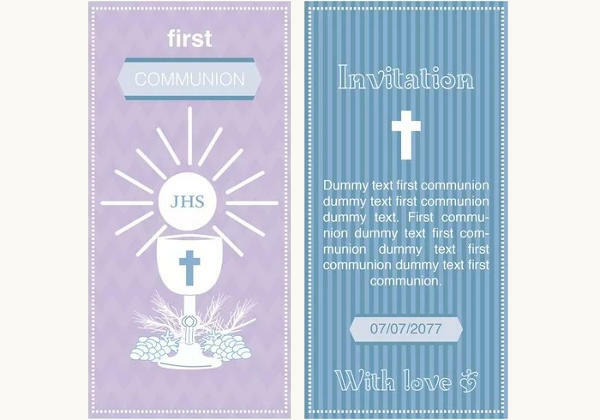 If you are specifically looking for an invitation design that is suitable for a boy celebrant, opt for the “First Communion Invitation for Boys”. Vectors are easy to edit, which means you can have all the time you want to make it look a tad bit more interesting and adorable, which you surely can do with “First Communion Invitation Vector”. 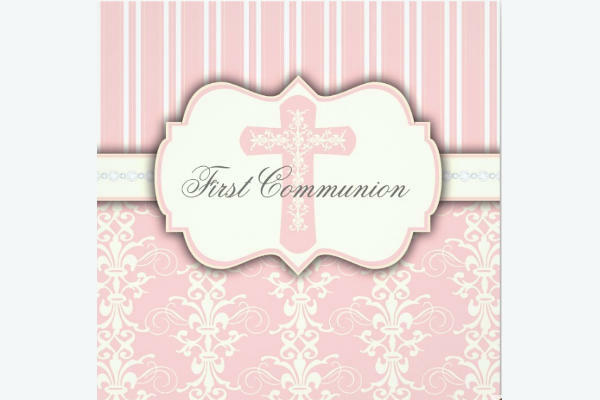 If your baby girl loves pink or you prefer this color for your child, then the “Vintage First Communion Invitation” is definitely the perfect option. 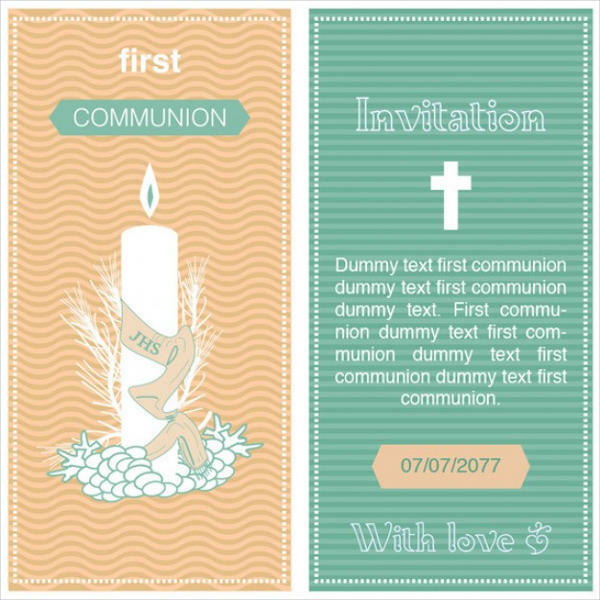 If you prefer to add an image of the celebrant as part of the invitation card, you can do that with “First Communion Photo Invitation”. Also, if you want to see more designs for other occasions you may check our Printable Party Invitation listing. Take advantage of curated lists such as this one for it can be useful for a specific occasion such as a communion. It only happens once so, make the most of your celebration, but don’t forget to inform your guests by using an invitation card, to inform them ahead of time. 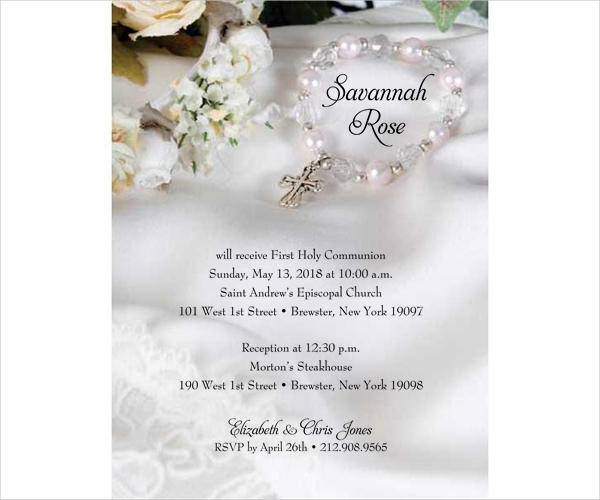 If you are having a hard time sending your invitation card to someone who is distant or aloof due to their hectic schedules, you can always send the personalized invitation to them via email. The supporting file format will surely be compatible and readable for any electronic messaging applications. So, have you chosen the design you think is perfect for you kid or what you have in mind? If so, don’t leave without saving the file you’ve chosen. Download and personalize it accordingly. Because the file formats are compatible for editing and most importantly printing, you can just take the personalized file to your trusted printing shop and have it printed there. This way you can save the designer’s rate which is sometimes charged when you have no template of your own.